And then suddenly Skye is invited to join an exclusive gang known as the Secret Runners of New York. But this is no ordinary clique - they have access to an underground portal that can transport them into the future. And what Skye discovers in the future is horrifying. 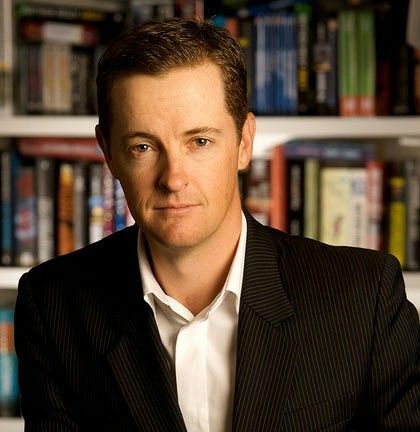 Born July 2nd, 1974, Matthew Reilly is the international bestselling author of ten novels, Ice Station, Temple, Contest, Area 7, Scarecrow, Hover Car Racer, Seven Ancient Wonders, The Six Sacred Stones, The Five Greatest Warriors and The Four Legendary Kingdoms. Published in over 20 countries and known for their highly visual style, fast pace and large-scale action scenes, over 7.5 million copies of his books have been sold around the world, more than a million copies apiece between Australia, the UK and the USA. Some of his works have been optioned by film studios for series or feature production, and he continues to create works of fiction across all major media platforms, from short stories, through to novellas and screenplays. Matthew's novels have also - unexpectedly - become a major tool in the fight to get teenagers into reading. While written for a mature readership, Matthew's novels have become very popular with reluctant male readers. This may stem from Matthew's own childhood experience, citing his dislike for set reading projects in high-school as his main inspiration to 'do it better'. He wrote and self-published Contest in 1996 while just 19, deliberately aiming to have his book noticed by publishers who talent-scout at bookstores. His dedication paid off, and was discovered by Pan Macmillan's then commissioning editor Cate Paterson. His first industry-produced novel, Ice Station, proved so monumentally popular, that it had to be reprinted six times in its first two years. The continued success of his novels has been attributed to not only the accessible, 'storyteller' style of writing, but also the highly charged and kinetic action sequences that take place throughout his works, deliberately making use of his 'unlimited budget' of imagination to create scenes 'too big for Hollywood'.